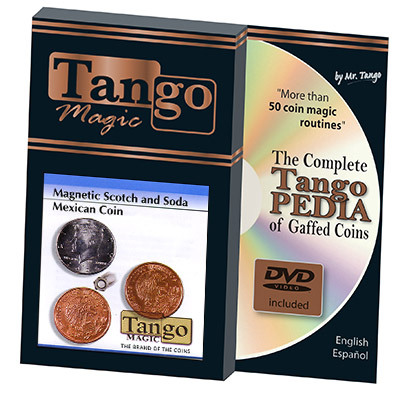 The magician shows a half dollar coin and a Mexican coin in his left hand. He closes both hands. When he opens his hands, he only finds a half dollar because the Mexican coin has traveled to the other hand.